It's been an exciting day here with the release of my first pattern on Craftsy! 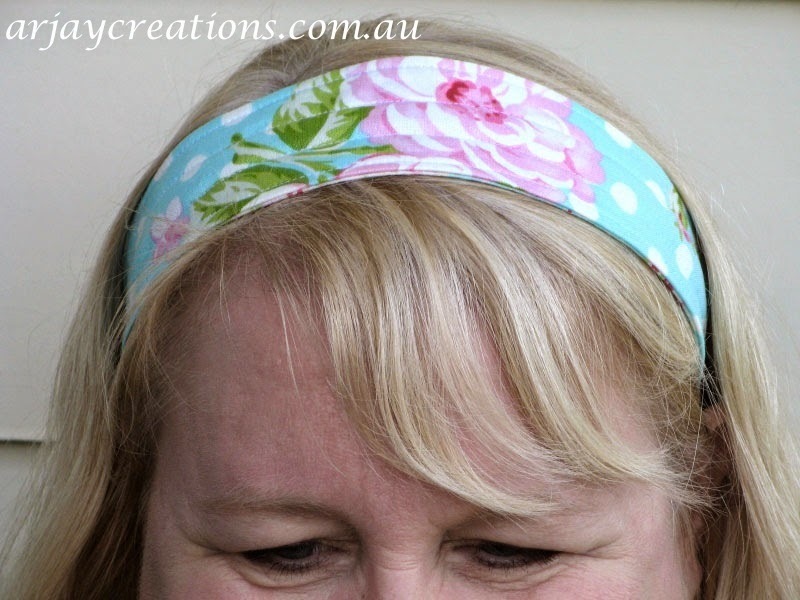 For some years now I have been making gorgeous Reversible Headbands for sale at markets and they are consistently my best selling item with several repeat customers. With the encouragement of some wonderful women I have met via facebook and crafting groups, I decided to take the step to release the pattern for others to make. 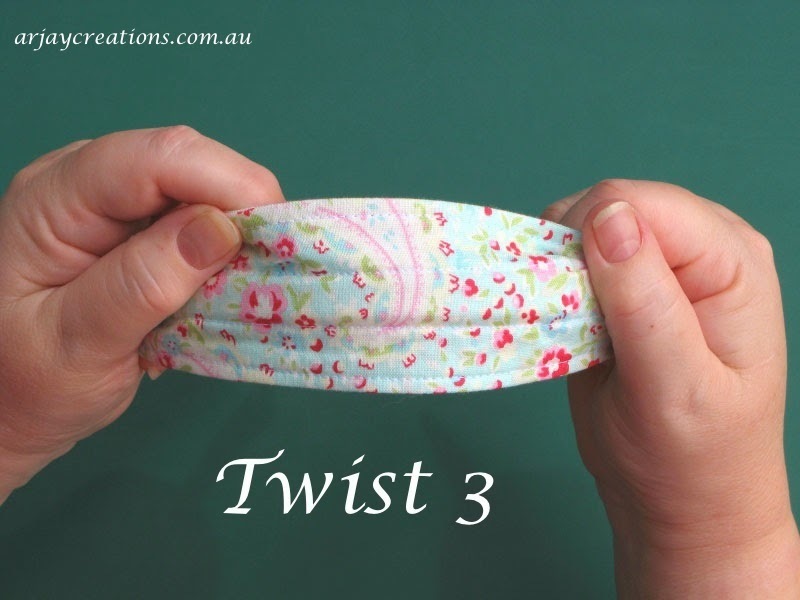 The Reversible Headband is suitable for a very wide range of ages, I was able to source some great narrow (1/2") headbands several years ago and girls from as young as 4 or 5 wear them, up to my mum who is 83. When I first made some, I simply picked up some headbands from my local grocery store or reject shop. 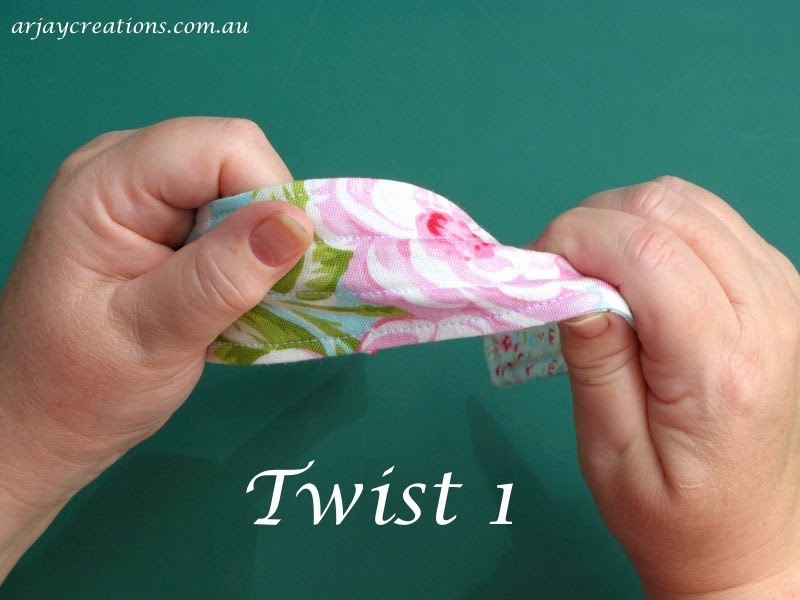 To change the look, you simply twist the fabric over (don't bend the band, it will snap!) to wear with the other side facing. Some people even wear them with the fabric half & half keeping the twist in the middle of the band. It's lots of fun finding coordinating fabric for the headbands and recently I have begun adding trims to vary the look. Stay tuned for a tutorial in the next few weeks on ways to vary the headbands. I have to say up front my amazing brother and sister in law have played a huge part in this journey too as well with their background in web design, computer knowledge & graphic arts, they have generously given me time to understand all the processes involved (I still find fabric more fun than technology). To coincide with the release of the pattern, my sister in law also revamped my business logo for a fresh new look. If anyone is looking for a talented graphic artist you can contact her at Blue Triangle Design. 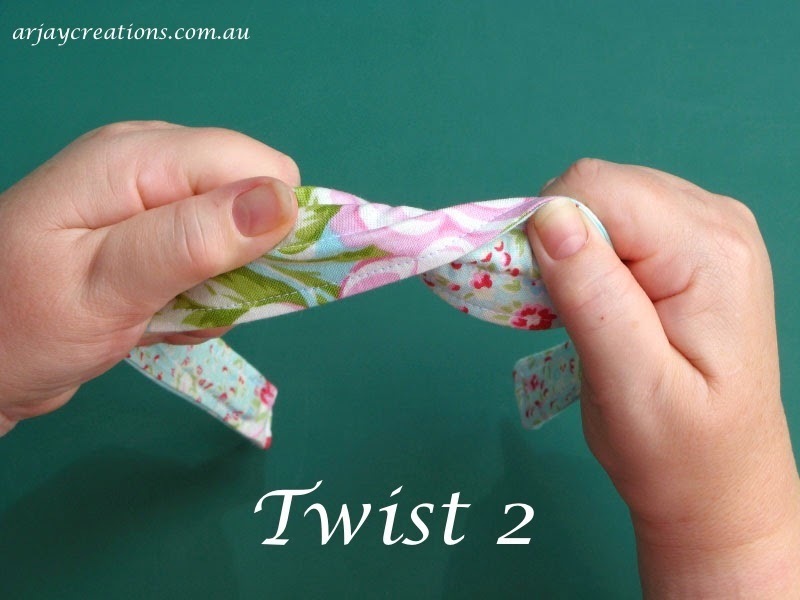 I would love to see any Reversible Headbands you make with the pattern.